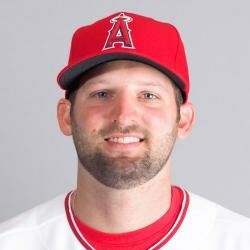 With David Freese nursing a hamstring injury the Angels called up prospect Kyle Kubitza on Wednesday to start at third. Kubitza went 2 for 3 in the Angels 4-2 loss to the Rays but had a few mental mistakes as he had a defensive lapse and two base running mistakes. Instead of getting a routine out he tried to tag Kevin Kiermaier going to third. After collecting his first hit he failed to tag up on a deep fly ball and then over ran a base shortly after that and was caught in a run down. Chalk up the mistakes to a young kid being nervous in his Major League debut. The good news is he went 2 for 3 and showed he can pick up the offensive slack if David Freese is out for an extended period of time. The hope was that Kubitza would become the every day third basemen for the Angels down the road. Lets see how he performs the next few games while Freese is out.